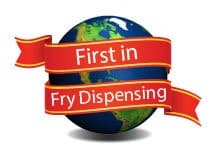 The team at Automated Equipment LLC is dedicated to delivering french fry dispenser equipment to customers throughout Red Wing, MN, and around the world. We offer live support 24-hours a day, 7 days a week, meaning we are always available when you need us. With our commitment to providing excellent service, delivering high-quality products, and fulfilling customer satisfaction, we strive to exceed expectations each and every time you come to us for help. We are conveniently located at 5140 Moundview Drive in Red Wing. This is off Route 61 near Cannon View Park and Burnside Cemetery. Although we offer around the clock live tech support, our business hours are 8:00AM – 5:00PM CST. No matter what you need, a knowledgeable member of our team is always ready to answer your questions, so just give us a call. Browse our site to learn more about the french fry dispenser equipment we manufacture. Whether you own a business in Red Wing, MN or on the other side of the world, you can take advantage of our services today!